Former international trade and industry minister Tan Sri Rafidah Aziz revealed that she had once arm-wrestled with former prime minister Tun Dr Mahathir Mohamed. 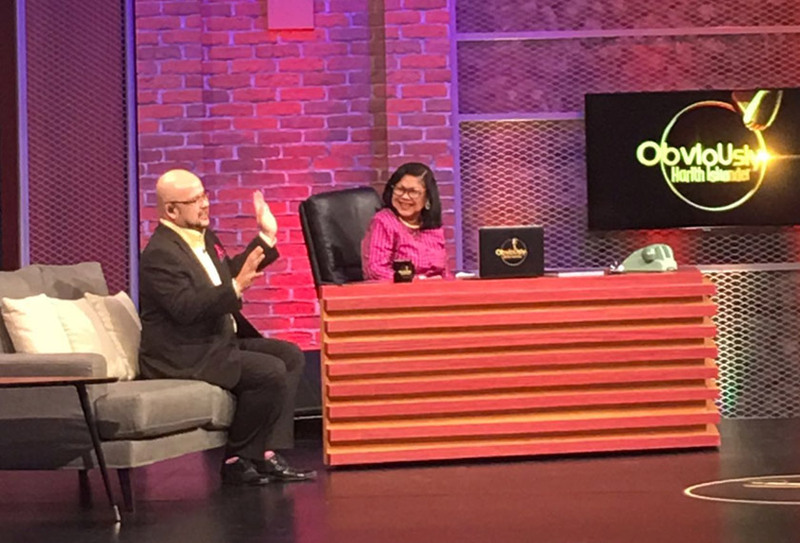 She shared this light moment on Astro AWANI’s talkshow, Obviously Harith Iskander, which was aired Saturday evening. Rafidah said the incident happened when the two talked about gender and strength over tea at a hotel in Kuala Lumpur. "I told him I was once an arm wresting champion when I was in Form Six. "He said 'cuba' (try), he challenged me! "So we had the waiters clear the table and we actually arm-wrestled, and he lost! You can ask him... that is if he remembers!" Rafidah said on the show. Rafidah also revealed that Dr Mahathir can be a fun person. "It comes out when necessary," she said. She also said she would give him the 'silent treatment' when she is unhappy with him. "You do not tell an old man off. You do not do that to older people. If I am not happy, I just give him the silent treatment," she told host Harith Iskander. Obviously Harith Iskander runs on Channel 501 every Saturday at 9.30pm.